You know that expanding brain meme, where each level of consciousness relates to an even greater level of awareness? 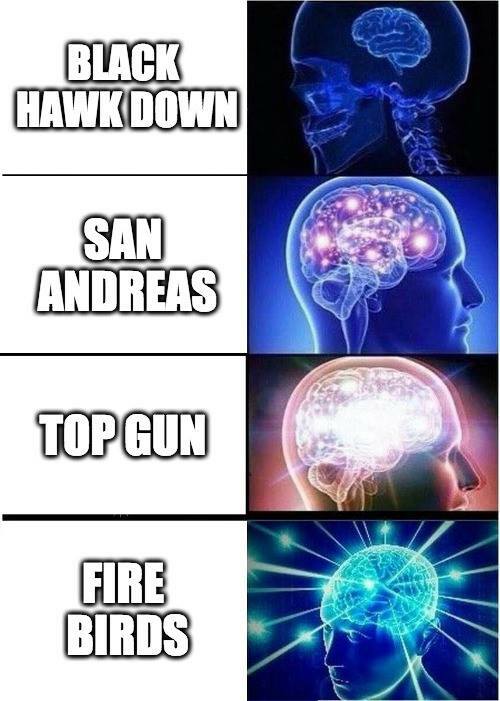 Some people think Top Gun is great, but Fire Birds is the equivalent of someone pulling a full Lucy and using 100 percent of their brain. 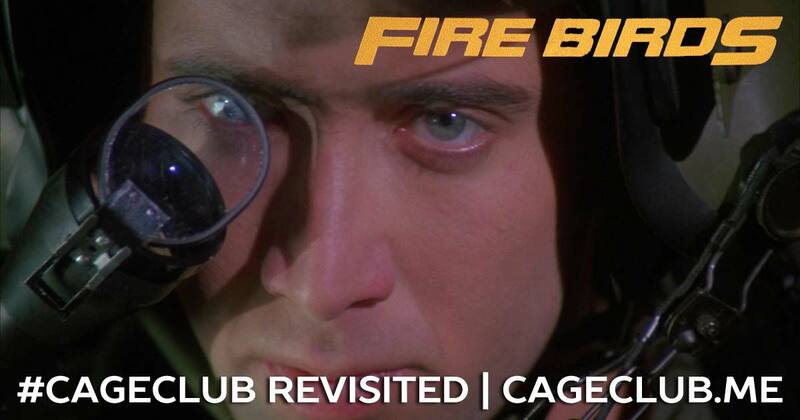 Like Nicolas Cage in the film, Fire Birds is the greatest! Sure, it may be nothing more than shameless propaganda to encourage young boys and girls to join the military, but who cares? There are helicopters! Video games! Semi-blind periscope driving on populated roads! What more could you ask for? If you want to hear our more insightful and in-depth podcast episode about Fire Birds, you can find that here.